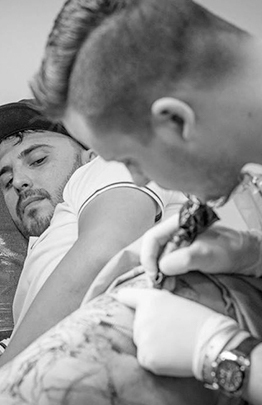 Whether you are considering your first tattoo, you’re heavily inked, or anything in between, we will work with you to ensure you get informed reasoned advice; resulting in the best artwork for you. When you visit Parlour you will encounter a team that puts the client first. We are open, honest and ethical, providing impartial, straightforward advice to help you and the design process. Thinking About A Tattoo? Think Inkdividual Tattoo. Our expert artists use premium equipment to ensure quality artwork and every inch of the studio is immaculately clean and hygienic, we take this extremely seriously and have very high standards. The team at Parlour will make time to answer any questions you have, before, during and after your appointment, in an unhurried and informed manner. 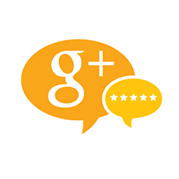 We’ve been asked every question under the sun, we’re experts and we’re confident we can answer all queries. 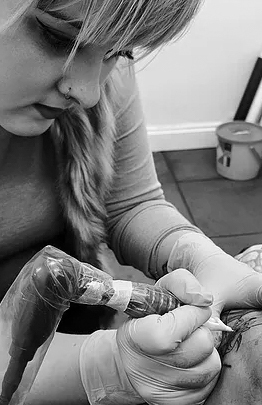 Our artists and shop manager will take you through all tattoo aftercare procedures and will even provide you with professional quality aftercare kit and advice. Parlour aims to eliminate preconceptions and smash the stereotype of what makes a traditional tattoo studio. Our Parlour is Different and Stunning. Over our many years involved in the tattoo industry we’ve seen what works well and what doesn’t. We’ve re-imagined what a good studio should be and we’ve put our heart and soul into creating our Studio. Alex Chwoshchenka, Devin Evans & Adrian Schiopescu, with guest artists from around the world. Large or Small, Realism, Custom Tattoos, Watercolor, Traditional, New School, Tribal, Neo Traditional, Celtic, Japanese & Portraits. Book with us Today! Fully Trained Professional Licensed Tattoo Artists, We create Amazing Everytime at Inkdividual! Create a Masterpiece that you will be proud of for the rest of your life. Forever "Ever"
Here at Inkdividual we believe every Question is a good Question, there is no second guessing a Masterpiece. You got the perfect Tattoo in mind but don't know where to start? we offer you Free Consultation. Our super Friendly and relaxed environment you will right at home from the second you walk-in. You have your Masterpiece what do I do Now? You will be provided with a High-Quality Aftercare kit..
Our studio is located in the heart of Aberdeen, 285 George Street, Aberdeen 12 minutes walking distance from Union St, Aberdeen. Call our Studio on 01224 635655. When you first enter our Studio you will be greeted by John, Our Resedent Artist's are Alex Chwoshchenka, Devin Evans & Adrian Schiopescu, with guest artists from around the World. 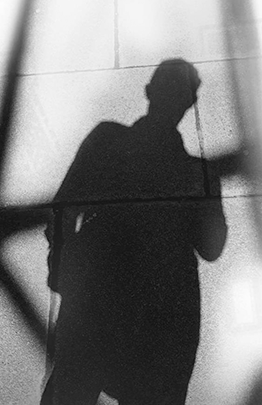 Check Our Guest Artists & Dates. 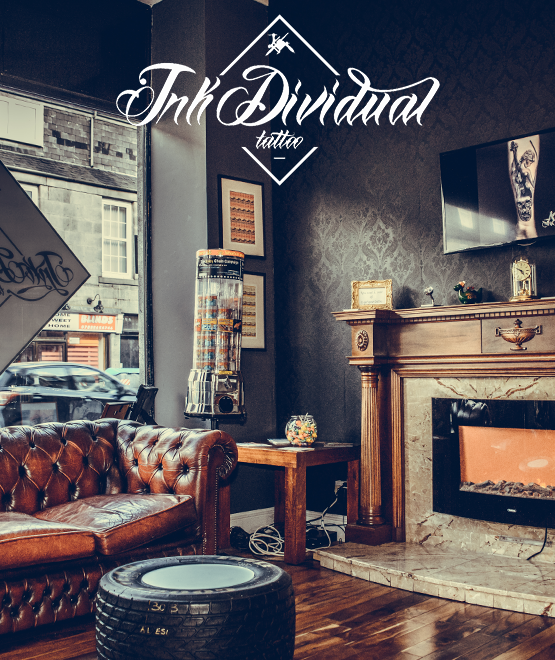 Inkdividual Tattoo Studio : Aberdeen's Premier Tattoo Studio. Staff are so easy going and friendly, Really good artists and good value for money! Just had my first one done from there and am booking again for another ..... Definitely a great studio! Got most of my tattoos here, lovely talented artists. Had my first tattoo done here recently. All the staff are very friendly and relaxing. You're shown the needles before packaging is removed so you can see the date etc. They provide instructions for aftercare and are more than happy to ask any questions you have. Our Tattoo Process is easy. Step One: Choose a Design from any Images/ideas you may have/find. Step Two: Think about Tatoo Placement. Step Three: Drop us a message or come visit us our Artists will offer free advice and a free consultation. Step Four: Get your Stunning New Tattoo and Aftercare Kit. 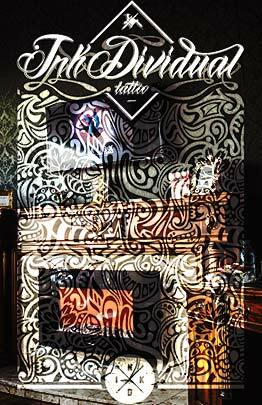 Inkdividual Tattoo Studio, we specialise in black & grey, realism, traditional & colour tattooing.